Real Estate in Noida is growing very speedily. Demand for property in Noida is growing day by day because it is an industrial area and everyone wants home at the same location of office. Noida short for the New Okhla Industrial Development Authority is a part of Delhi National Capital Region under the management of the New Okhla Industrial Development Authority. Noida came into administrative existence on 17 April 1976. Noida was built under the UP Industrial Area Development Act by the initiatives of Sanjay Gandhi. Noida is located in India attracts flurry of tourists from all over the world. This city has the highest per capital income in the whole Delhi NCR. Noida is a major hub of industries. Delhi Metro Rail Corporation connects Delhi to Noida and makes travelling easy and secure. Noida also hosts the head office of the Software Technology Park, which was established by the Government of India to encourage the software industry. Due to rapid growth of industrialization, urbanization and increase in infrastructure gave rise to many Real Estate companies in Noida. RealtorProp one of the Real Estate company offer services in Delhi NCR. Many Real Estate companies are here in Noida to help you for your property but to whom we should follow are tough to know. RealtorProp is one of best and trustworthy company in Delhi NCR. If you are a house buyer and looking for Residential Property in Delhi Ncr OR wants to do investment in properties then RealtorProp is here for you. EXPRESS builders have launched Express Zenith (www.realtorprop.com/property/express-zenith-110.htm)in Noida. Express Zenith offer 2/3 BHK apartments of different sizes in 1075, 1765 sq. 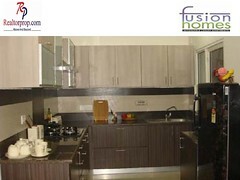 ft. area with all modern amenities to give highest standard living here. The master plan for Express Zenith Project was developed by the engineers and architects having expert knowledge in their domain. Ground floor apartments have to face many problems. To remove that problems innovative podium concept is developed for round clock security. Modern facilities like swimming pool, club house, reading room and hall for party is here. CCTV camera and guard are here for 24*7 hour. Most of the apartments are 3 sides open surrounded by green environment. Wide wind corridors and balconies are here for passage of air and holistic rejuvenation. All apartments have excellent lights and air ventilation with maximum internal coverage area. Express Zenith has authority from New Okhla Industrial Development Authority. Vastu complaint designs are another feature of Express Zenith. Its proximity to proposed metro stations makes traveling easy and secure.